This beautifully presented gift set features, an original Sophie la girafe® and a soft maracas rattle which develops the baby’s senses with sound, colour, texture and shape. 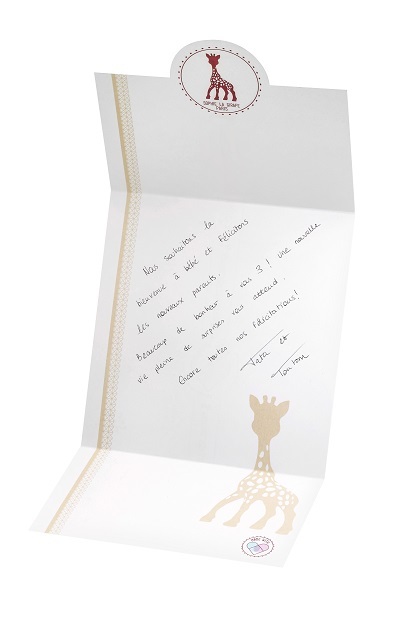 The Original Sophie la girafe® is loved by millions and still made using traditional methods in France from 100% natural rubber and decorated with food grade paint, you can be sure that Sophie is a safe and natural teething toy for your little one and sure to become a firm favourite with your baby. Packaged in a premium gift box to give a contemporary, modern and sophisticated look. 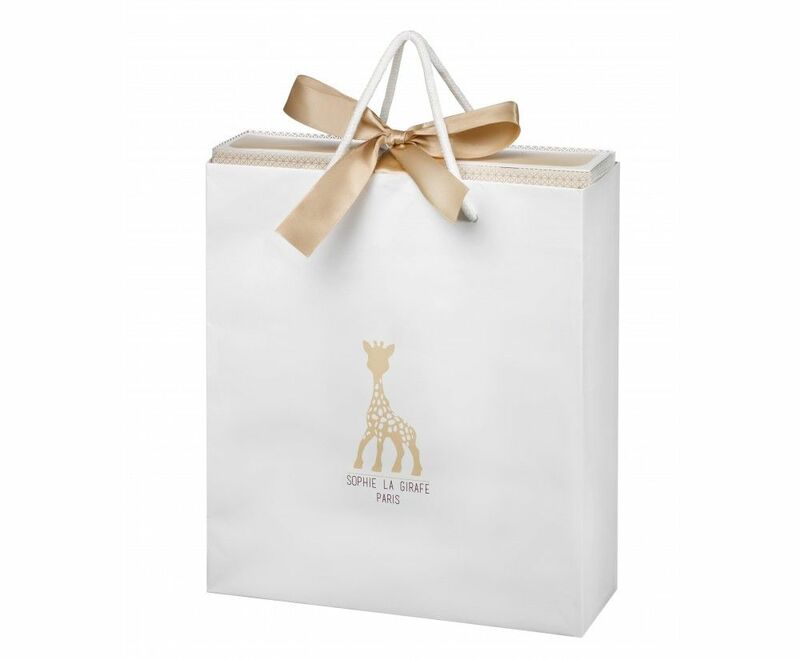 Each set comes with its own branded gift bag and a gift card. This really is the complete first gift set!